John C. Reilly and Joaquin Phoenix star as squabbling siblings in French filmmaker Jacques Audiard’s (A Prophet, Rust and Bone) English language debut, a subtle and darkly funny Western. 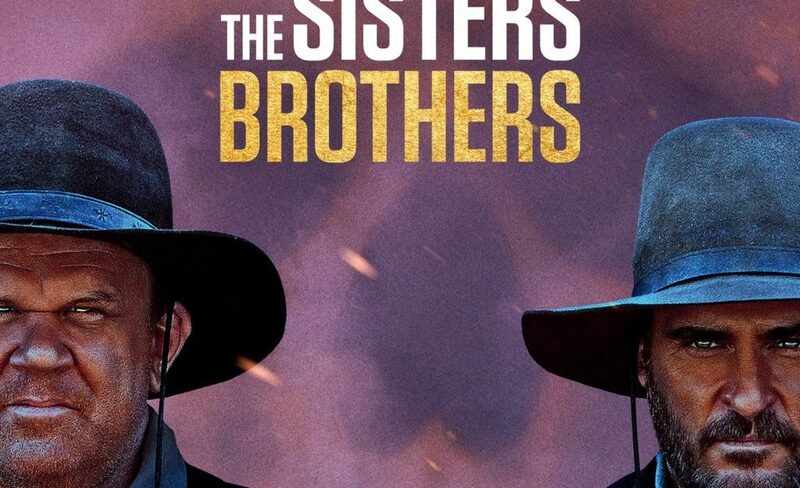 1850s Oregon: the quarrelling Sisters brothers, Eli and Charlie, are two rangy, disreputable guys liable to come riding into town up to no good. They are in fact assassins, working for a shadowy person nicknamed the Commodore (played in pleasing cameo by Rutger Hauer) and beginning a new mission: to travel to San Francisco and ‘whack’ an individual with the unlikely name of Hermann Kermit Warm (Riz Ahmed). To help them track their victim, the Commodore has lent them a prissy private detective (Jake Gyllenhaal) who annoys them with his pompous letters telling them what to do. Yet all is not what it seems, and gradually Eli and Charlie, like Butch and Sundance before them, begin to suspect there may be some pretty persistent people on their own tails. The storytelling is broad and appealing, the dialogue salty and garrulous and the narrative witty and delightfully offbeat, in a satisfying story that both subverts and indulges typical Western tropes. It’s elevated further by Reilly and Phoenix’s immensely watchable performances, evincing chemistry and a hilarious lack of imagination as hangdog Eli and cynical, callous Charlie, brothers discovering things about each other they never considered before.